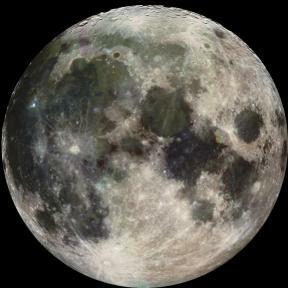 NOTE:::For more information, and an in-depth look at the Moon, go to the Moon Overview page. 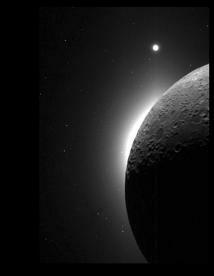 This rather spectacular picture of the moon was taken by the Clementine 1 spacecraft and the light that is lighting up the moon is actually light reflected from the Earth! You can also see Venus in the distance. Here you can see a great picture of the whole Moon Taken by the Galileo Orbiter space probe. 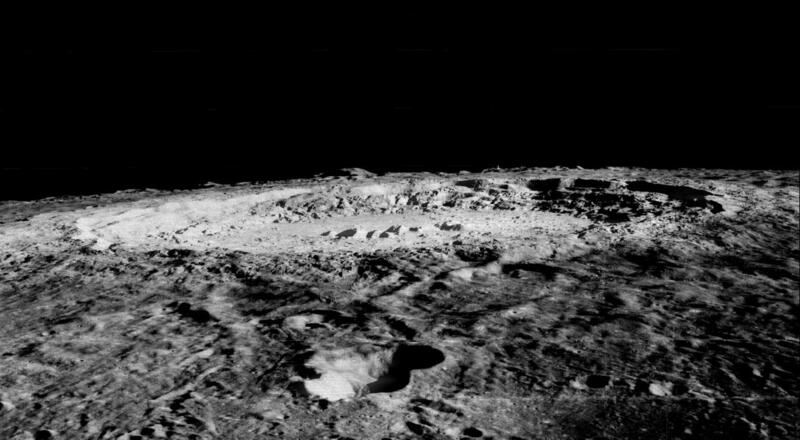 At the bottom left you can see the massive crater Tycho. 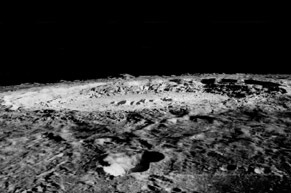 This breathtaking picture was taken by the Lunar Orbiter 5 and shows the 93km wide Copernicus impact crater from a low orbit. 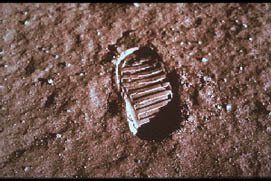 A footprint on the Moon's surface.